Creates a fail-safe system to check for dangerous flaws with home appliances for as long as you live in your home. Home inspection is one of the many steps in the complicated, often stressful process of buying a home. Anything to ease the possible headaches is preferred. “Is home inspection necessary” may be a popular search query on the topic, but make no mistake – the answer is yes. Waiving a home inspection could result in a forfeiture of the buyer’s right to request repairs from the seller for problems not immediately apparent. This is a no-win situation. You need a proper inspection of your future home, performed by an experienced and meticulous home inspector. A haphazard home inspection can be as bad as skipping one altogether. If a buyer has to hire a second inspection to cover what was missed the first time with a rushed or otherwise incomplete one, the buyer has now paid twice the price. Worse still, a rushed home inspection, much like a bad home inspection, can kill the deal. This is also a no-win situation. My realtor recommended Tri-County to me and I was thoroughly impressed. I value communication in dealing with any business. I was treated like their number one priority whenever I talked to the staff. This included times after and before the inspection. To that end, I had them inspect 2 different homes and each time they stopped whatever they were doing to answer and address any questions or concerns that I had explaining to me in as much detail as possible. I ended up buying the second home, and even 1 month after I purchased the house and 2 months after the inspection, I texted our home inspector to ask about a fireplace that was tested as working in the inspection. For some reason I couldn’t get it to fire up. He responded to my text within 10 minutes, and kept in touch with me until I finally got the fireplace up and running. Needless to say I was shocked that so much attention was given to me even after all was said, done, and paid for. I don’t think I have ever had such a good experience with any business. If it isn’t obvious, I would recommend Tri-County Home Inspection. There are home inspectors, and then there are Certified Inspection Experts. For anyone in the process of buying a home, a home inspection from a certified expert is essential. Only one in eight home inspectors nation wide carries the certification of Certified Home Inspection Expert. With Tri-County, your Certified Inspection Expert has been not only certified by the State of Wisconsin, but also by a third party to ensure he or she meets and exceeds the requirements for training, reporting, and customer service. 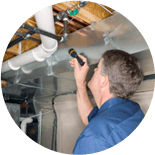 Tri County Home Inspection, LLC is the premier home inspection company in Waukesha, Jefferson and Walworth counties in Southeastern Wisconsin. No one wants a home inspection horror story. With over a decade of experience across thousands of inspections, we will help prevent them. Tri County Home Inspection only staffs Certified Inspection Experts, providing top quality service to every client. If you find a problem in any of these categories soon after you move in, you’re covered. These aren’t extras – they’re included. When we say we do a full inspection, we mean it. 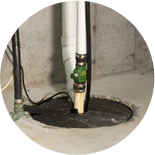 In addition to home inspection, we offer radon testing and environmental testing services. Radon is a tasteless, odorless and colorless noble gas – and it’s radioactive. It is estimated radon causes 21,000 lung cancer deaths each year from exposure, second only to cigarette smoking. Likewise, prolonged exposure to in-house mold and other pollutants has been linked to both neurological effects and death. Additionally, a serious in-house mold problem can be costly to address. The majority of states don’t require homeowners to disclose mold issues, known or unknown, and most insurance companies won’t cover mold damage. Besides mold testing, Tri County Home Inspection offers tests for indoor air quality, lead paint and dust, asbestos, among others. Consult our environmental testing pricing structure for more information. Consider environmental and radon testing when booking with us. The small fees now are worth avoiding the high costs and health risks later. Tri County Home Inspection is the logical choice for home inspections in Southeastern Wisconsin. We’ve been locally owned and operated since the beginning and we’re nationally recognized. We’re not a name brand, we’re a trusted name. We’re so confident in our service that we offer an unheard-of 200% money back guarantee. Attend your home inspection and if you’re not completely satisfied, we’ll make it right or you owe us nothing. That’s only half of the guarantee, though. If we can’t make it right, we’ll pay for another inspection up to the cost of ours. We value a proper home inspection for our clients above all else. Our inspections come with a free 90-day home warranty. Our limited warranty covers items declared in working condition during the inspection. 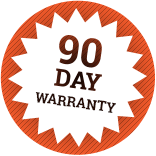 The warranty coverage lasts either 90 days from the date of the inspection or 22 days from closing, whichever comes later. 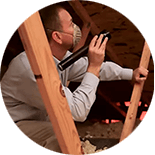 Put your trust in us for a proper home inspection. A cheap home inspection may end up being the most expensive purchase you’ll ever make. Don’t make the mistake of hiring a second-rate home inspection company. 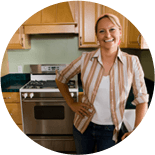 Choose Tri County Home Inspection and make sure the job is done right – the first time. Pick up the phone and call us now. We are happy to talk to you. Make sure the house you choose is perfect for you and your family with a custom home inspection from Tri County Home Inspection. You’ll be glad you did. Contact the Wisconsin certified home inspectors at Tri County Home Inspection today for more information or to schedule an appointment.